Communities of Practice (CoP) is defined as an organized group of professional people who share the same interests in resolving an issue, improving skills, and learning from each other’s experiences. Eases up the adaptation stage of newly hired employees since the communities of practice serve as a mentor in understanding their role and most of all, how their work is essential to the company. In addition to that, newly hired employees can obtain a sense of belongingness through the help of communities of practice. Projects with community backing are executed faster because employees have some sort of “buy-in” in the plans. Compared to executives just issuing “orders”, employees don’t feel like they’re just blindly following plans they don’t have any personal involvement. It helps the member of CoPs to think outside of the box in creating additional services and products of the company during a brainstorming session. CoPs help companies recruit and retain talent. You can easily identify who among your employees are competent and has the ability to work productively with other employees in a community of practice. CoPs serve as your first line of defence in the company. They can turn weaknesses into strengths for as long as they work together. There are two frameworks you can use to implement the communities of practice in your company. First one is canonical in which a company has formal rules or process that must be followed by the member of a community of practice. The other one is a non-canonical approach which is the opposite of the first framework. CoPs created through Non-canonical framework rely on the informal “routines” that the members do during their meetup “sessions”. The communities of practice members should be independent in constructing an organizational structure to ensure that they meet their objectives and be truly helpful towards the company’s objectives. The membership of communities of practice is voluntarily. Let your employees select their group based on their interest and interact with other members freely based on topics that attracts them the most. If members are forced to join, the tendency of them being uncooperative is high. Communities of practice are not websites or blogs that you manage; it is a group of professional members. In line with this, it cannot be complete if it will only have members of less than five persons. It’s more effective with a larger membership. The growth of the company lies within the people working for it. Therefore, members of the communities of practice should be nurtured in every possible way. As the employer or as an executive, you must be more than willing to listen and weigh in their suggestions that might lead to drastic but good changes in the company. 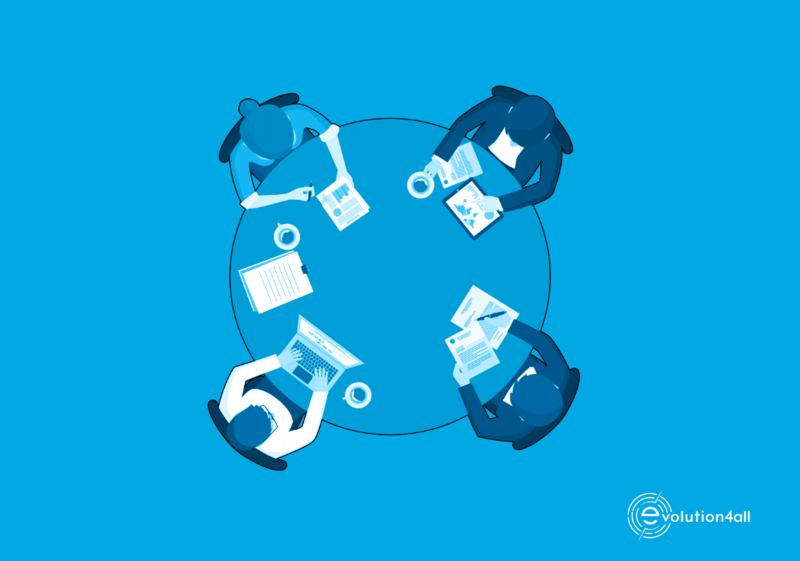 The communities of practice is not just an ordinary circle of friends or community group within the company that anyone can join for as long as the admins allowed them to be part of. Identifying what is the CoP based on Etienne Wenger, a theorist, helps you to prevent it from becoming a normal group on social media platforms. This can be identified as the ‘titles’ of the communities of practice within your company. For example, group A shared interest in marketing, their domain can be called as “marketers”. While group B shared the same interest in optimizing website then, their domain should be called “SEO”. Members of communities of practice are all committed to their designated domain in order to improve their craft, collaborate with other employees, and strategize in solving relevant hurdles within a company. A part of CoP’s pillars that entails the activities happening within their domain. A part of CoPs pillar where members interact and learn from each other on how they can improve themselves and tackle new discoveries in their chosen domains. For example, the communities of practice can conduct a question and answer forum to determine main problems of the consumers then making a list of which product or service you currently offer needs improvement. In this case, the communities of practice members will be aware of the impacts of your product to the consumer, as well as solving issues on consumers’ end. The last part of CoPs’ pillars but definitely the most important one. This is where the members exchange tools that can help the domain in strategizing that can strengthen the domain’s motives as well as handling identical problems altogether. For example, the members of the communities of practice in this stage are all committed in strategizing and defining which of your consumer locations needs more advertising to increase sales revenue. As one of the pillars of communities of practice, this part can also mean the members should identify which marketing tools are best to use. On this stage, members of the community can also brainstorm new product with new perspective, targeting a new set of audiences that still incorporates the company’s objective. The communities of practice are not only limited to solving problems, meeting the company’s objective and preventing malicious actions from your competitors. Re-used assets that can lessen your expenses. Identifying and resolving gaps within the company. CoPs are not immune to risks and disadvantages. There will always be dilemmas that you may encounter when implementing the communities of practice, it is better to get ready and plan solutions before hand. The communities of practice have been and always been available for decades now, but only few companies take the leap of faith and take risks of implementing it. In this case, your employees might need to adjust since this is not a common policy at their previous companies. If you are planning to implement the communities of practice to your company, give them enough time to adjust and get acquainted with the idea. Few companies were able to take risks and succeed. The success of those few companies that implemented the communities of practice don’t guarantee the same level of success for your company. It all boils down on how you will nurture the members of your company. Implementing CoP comes with an action from your end. It does not mean that if you already formed communities of practice, you no longer need to exert effort and provide additional incentives. You may find it easy to build the communities of practice in your company since you have employees’ trust and loyalty on you. But, sustaining these communities can be challenging. The community of practice at Hewlett-Packard holds monthly teleconferences that aim to minimizing downtime for customers particularly in computer. Then, they had detected several problems, they were able to address and resolve the issue. As a result, they have come up with consistent pricing scheme for HP sales team. With over 130 office locations worldwide and 189 member countries, World Bank is indeed one of the successful businesses of our generation today. One of their secrets is embracing the advantages along with the risks of putting up communities of practice in their company. It has been reported that the AMS went through an intense growth decline. The chairman of the company personally invited some of the employees with strong leadership qualities to manage the development of communities of practice in problematic and strategic areas of the company. A community of practice in an organization is composed of people with commitment, passion, and shared expertise that keep them together. An organization’s communities of practice will last for as long as the employees are still interested to interact and learn from each other. They will be able to maintain the group and keep their eyes on their shared vision. The regular project teams get dissolved once they deliver a specific set of outputs. This does not apply to a community of practice. Furthermore, a community of practice is different from an informal network. Usually, your informal networks have shallow interest in what you do as a professional. Having your employees grouped based on their expertise and job roles are two of the best ways of demonstrating communities of practice. Though they may not have specific day within the week to comply in answering questions and interacting with each other, communities of practice members feature a free-flowing and of course creative approaches to problems. In addition to that, a community of practice members will motivate each other in developing their capabilities on how they would be essential to a company or an organization during a brainstorming session. You should provide the infrastructures needed by the communities to be able to meet their objectives and be productive. These “infrastructures” may come as information, supplies, and an allotted time for discussion/interaction and so forth. Keeping things simple and informal since all members of the communities of practice have their professional obligations to the company and providing them just a minimal responsibility is highly recommended. Do not force them to overwork and let their creativity and ideas flow in their own way. Have the decency to give them the privilege in expressing their thoughts. Requiring the communities of practice members to attend several meeting in just one day makes them feel exhausted and unproductive. Appreciating and identifying the efforts of the members of the communities of practice will definitely motivate them. Remember the first reason why you gathered them all and allowed them to be part of the communities of practice. A simple gift certificate from a related event on their domain or allow them to have at least one free day to discuss and execute their ideas makes them more valued in the company. “The idea at that meeting helped me persuade the customer to continue to buy our service. Thanks to advice from the community, I got done in two days what normally takes me two weeks. I took a risk because I was confident I had the backing of my community and it paid off.” Mr. James Wolfensohn, World Bank President. Based on the statement of World Bank’s President, the best method of measuring the value as well as the contributions of communities of practice is to listen. Listening and thorough understanding of what the communities of practice have prepared and planned systematically will eventually save you and keep on making your company a better one. Learning organizations have structures that facilitate learning such as boundary, crossing, and openness. I can help your organization to establish these practice in a very simple and “natural” way.